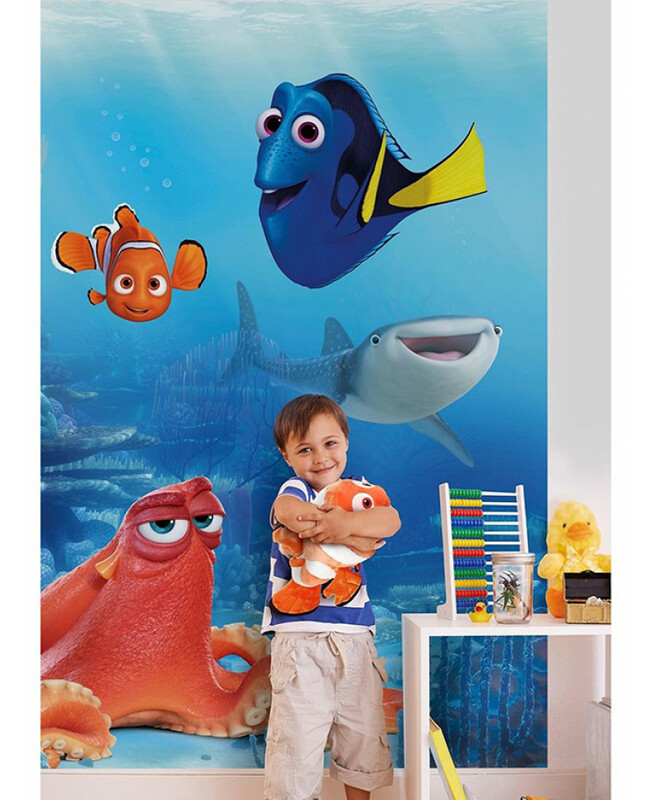 Create an instant feature in any room with this awesome Finding Dory Wall Mural! 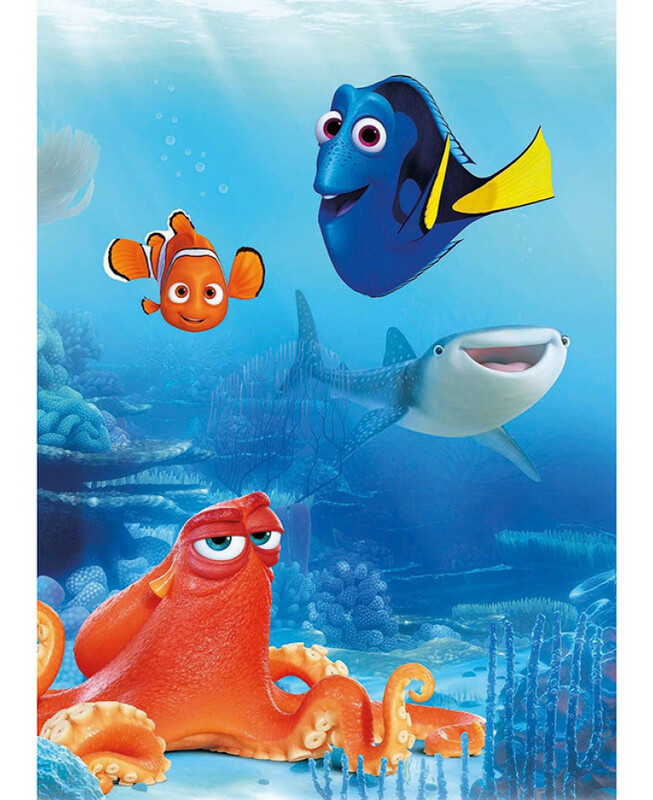 It is printed using fade free, UV-stabilised ink onto high quality paper to ensure a fantastic finish. The colourful mural depicts a detailed underwater scene featuring Dory, Nemo, Hank the octopus and Destiny the whale shark. For best results, treat the mural as conventional wallpaper and follow the simple instructions included.